SAP recently celebrated 40 years of business—today, nearly all of the world’s leading brands are running their business on SAP technology. Softtek has a longstanding tradition with SAP technology. I remember becoming the first SAP services partner in Latin America, back in the 1990’s, and today SAP-related projects account for a bulk of our revenue. While over the years we have constantly invested in SAP capabilities, these investments have intensified this past year and half, with the integration of two SAP-specialized companies, SCAi and Systech Integrators , and subsequent entrance of operations in India. These acquisitions, coupled with investments in technologies like HANA, Fiori, Syclo, Afaria, are enabling Softtek to fulfill its mission of helping its clients to maximize the value of their SAP investments. We are helping organizations in different industries to personalize the relationships with their customers, to predict consumer behavior or market conditions, to leverage the cloud for more efficient operations, and to use mobile technologies in unprecedented ways. 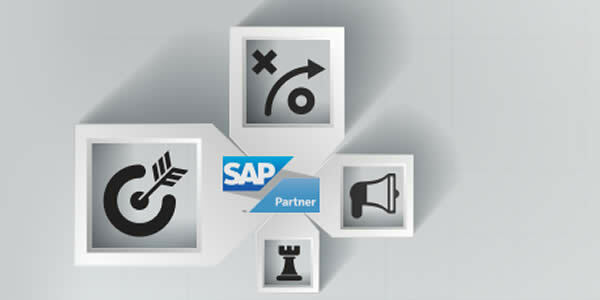 Gartner just published its report, “Magic Quadrant for SAP Application Management Services Providers Worldwide,” a study that includes a broad range of 18 vendors that met a series of requirements to measure ability to execute around AMS services for SAP, as well as strategic vision. As the first and only Latin American provider in this Magic Quadrant , and alongside world-class giants, like IBM, Accenture and Deloitte, today we are proud to be celebrating another SAP milestone. We’re proud to be making history with SAP. We are thankful to our clients for trusting us with their SAP infrastructure. And we are full of pride for the spirit and commitment of our growing Softtek team!